At Knoxville Tree Service, tree removal is our bread and butter and we take it seriously. If you find your tree is about to fall down on its own, don’t attempt to remove the tree yourself. Tree removal is a dangerous and complicated job and should only be tackled by experienced professionals. The tree removal process also can’t be undone, and it’s vital that you get a certified tree service to work on your trees. Our team can remove the tree in your property for you, whether the tree is rotting from the inside, leaning toward your house, or heavily damaged during a storm. Our professionals have safely and successfully done tree removals in the past, including the removal of large southern magnolias and small palm trees. 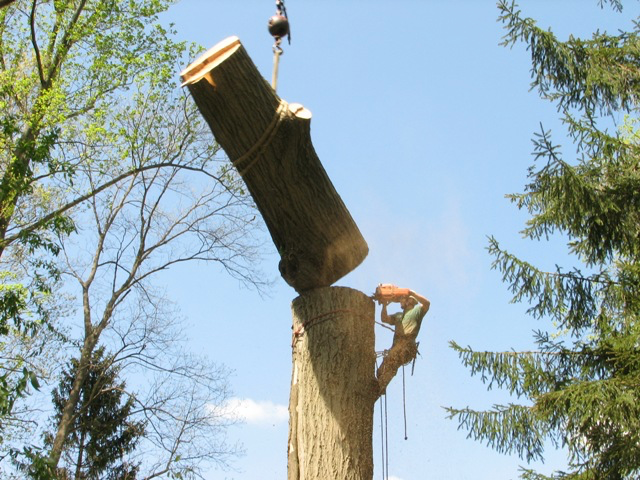 If you think your tree needs to be removed, call us and we can do a free assessment for you. Once we get your call, we will send in a tree expert to your place of business or your home to assess the tree or trees that you find issue with. Our tree assessor will give you an expert recommendation and a fair job estimate. Once you’re satisfied with our rates, we’ll then agree to schedule a time and day for service. It’s best to start the tree removal process as early as possible as the job can take hours. On the morning of your service appointment, you’ll get a call and tell you our Knoxville Tree Service team will arrive within two hours. 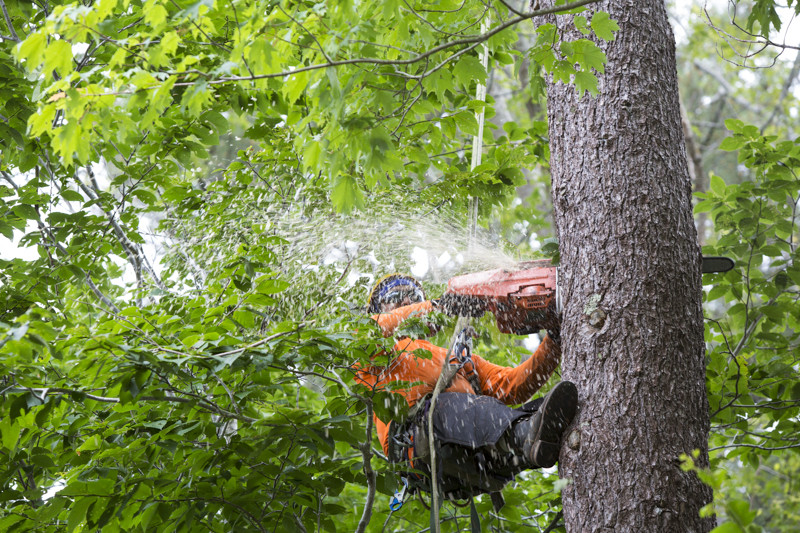 Our team always arrives within schedule, making us one of the best tree services Knoxville goes for. After the team has set up, the foreman then designates each team member his or her jobs and service begins. You tree is cut limb by limb, based on a plan that’s specific to your tree. Using a pulley-and-rope system, the tree’s heaviest branches will first be brought down, followed by lighter limbs. Once the branches are on the ground, the largest branches will be cut into smaller pieces, while the smallest pieces will be placed in the chipper. The remaining trunk will be cut into smaller parts until only a short stump is left. During the tree removal process, you can either let our team grind the stump for you or you choose to leave the stump in place. Depending on your choice, all the tree’s wood may either be hauled off by a truck or stacked on the property. The team will then thoroughly clean the work area. Our tree service and removal are always sought after as we put our customers first. We never compromise on safety, when it comes to our customers and when it comes to our team. We’ll never suggest you remove a tree by yourself, even if you have adequate tools to do so. The removal of trees must always be done by certified personnel. It’s not a risk that we would advise business or home owners to take, as anything can go wrong. 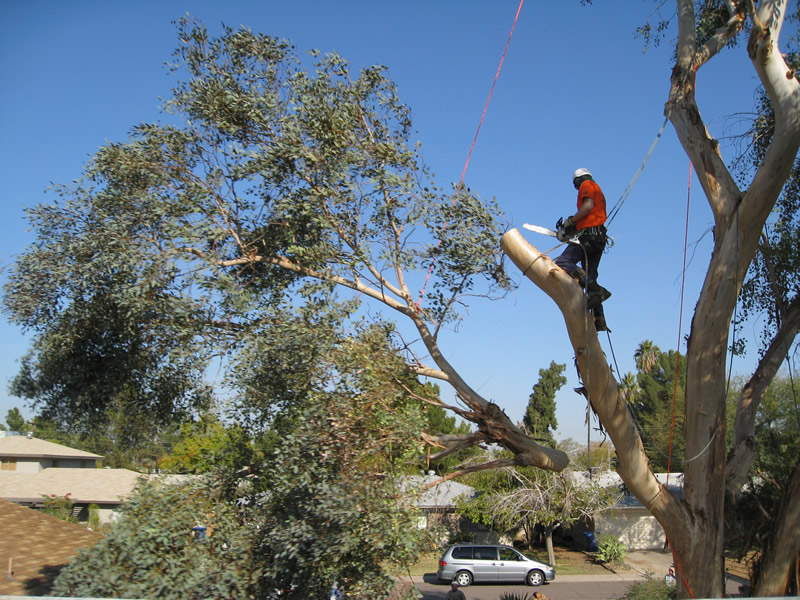 Our well-trained tree experts are experienced to safely remove trees. Let us do the work for you, and you’re free to do something else that’s less risky. Call us for the tree service Knoxville relies on.